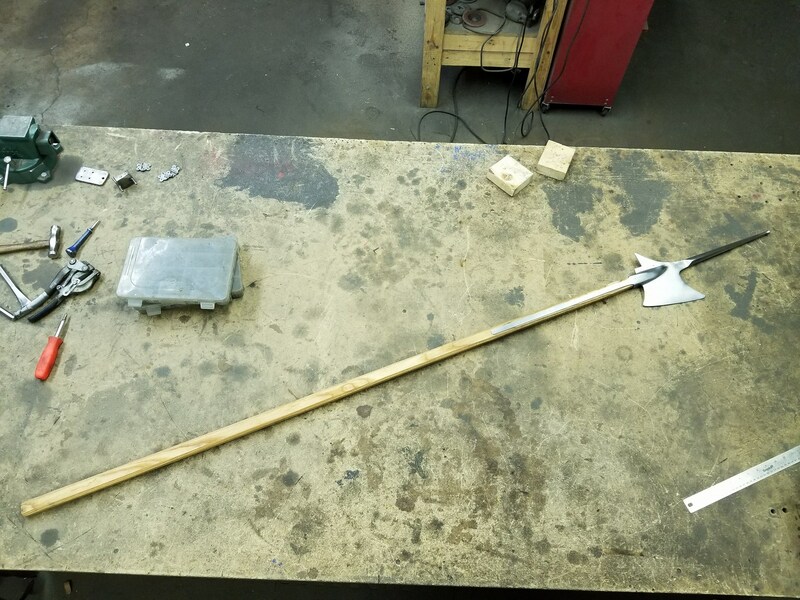 This halberd is blunted for training with a welded button on the tip of the spike for safety. Made of 6150 spring steel and tempered, the haft is ash and finished with danish oil. 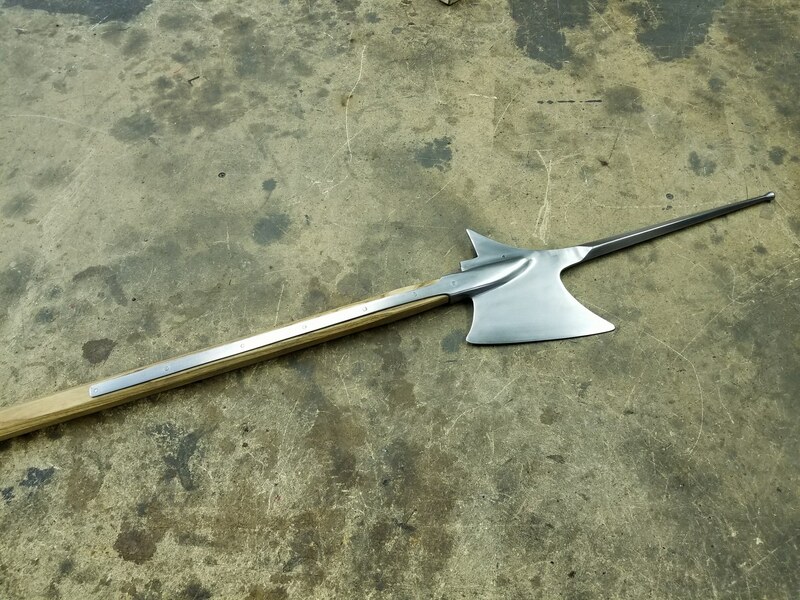 The specs are: 80″ Overall length, Blade 7″, Spike 11″ total weight is 4lbs 10oz or 2110 grams.